The wait is over! From the bestselling author of the Acceptance series, comes an all new YA-standalone that's sure to be the first summer smash-hit! Sarah Negovetich delivers and you won't want to miss out. Grab your copy today! "Ghost Code is a fast paced thrill ride that will take you to the very edge--of life and of love--and leave you begging for just one more page." "Without dreams, what's the point of being awake?" After a lifetime of fighting cancer, eighteen-year-old Viv Quiroga is dying. But she’s determined to go out on her own terms. 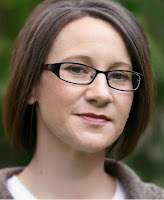 Instead of wasting away in a hospital watching her mom worry over their mounting debt, she volunteers for a private research program. For thirty days she’ll live in a coma as a human lab rat. When her time is up, they turn off the machines and pay off all her medical bills. It’s supposed to be a one way trip. Until Viv wakes up and learns what it really means to live. 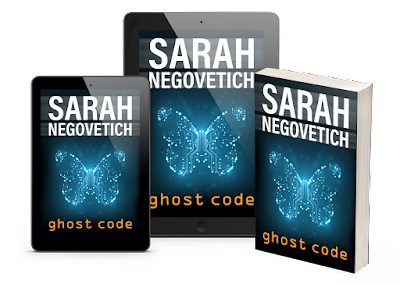 Happy Release Day Sarah and Ghost Code! 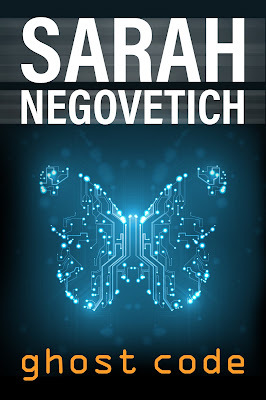 Join us in wishing Sarah all the best with her new release by reaching out to her via Facebook or Twitter at the links above you will not regret it!